Picturesque 1776 Stone Farmhouse on 25 rolling acres with a stocked pond, large older barn w/ 2 silos. 3BR, 3 baths, 3 wood fireplaces- 2 with inserts, new electric baseboard heaters too. A screened in porch. Perfect to enjoy gorgeous country views. Separate detached guest cottage recently remodeled has 2 separate suites each with their own kitchen, living room, bedroom and full bath formerly a successful B&B. 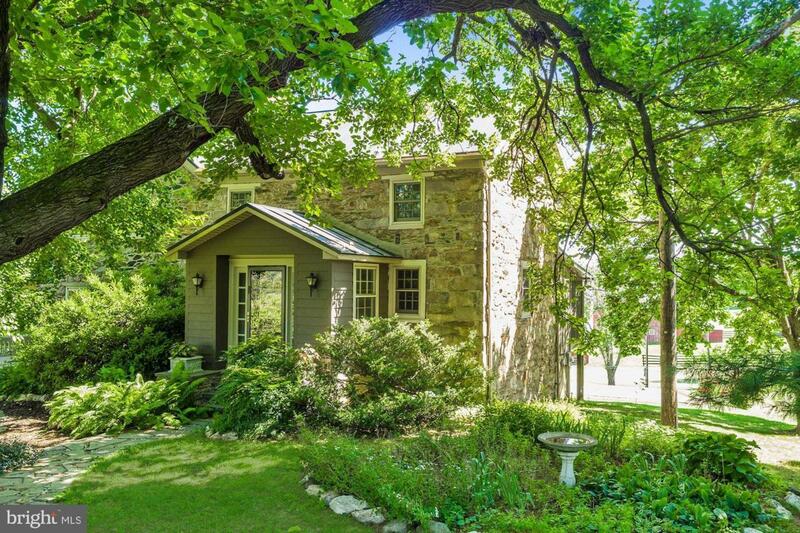 Mature trees and landscape, stone walls, outbuildings and privacy abound. (Adjacent 27 acre parcel available separately if more land is needed). Auto watering and 3 board fencing in place. Minutes to Rt 9 and Purcellville vineyards.